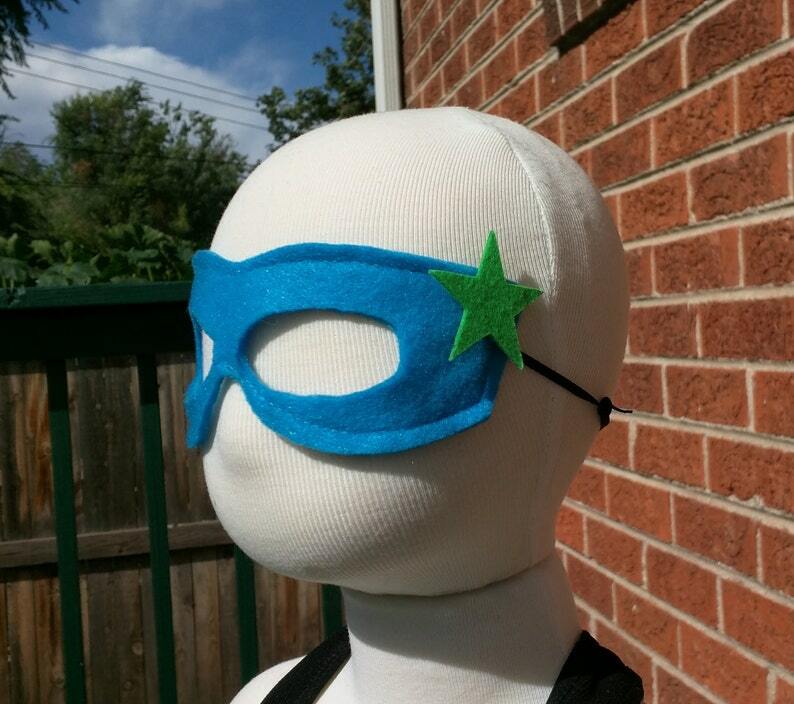 This is a handmade superhero or masquerade ball mask. 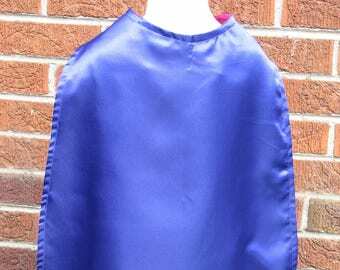 Both sides are plain royal blue felt. It has velcro attached green stars which can easily be removed or relocated.Its made from eco-felt, which is produced from recycled plastic bottles. I hand cut each mask. 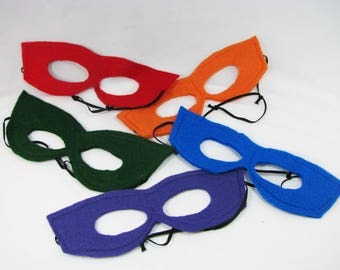 Each mask is double sided, ironed with fusible bond to keep the two sides together, it is then sewn around the perimeter of the mask to keep the strap and two layers of felt in place. 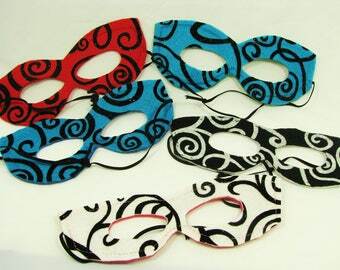 The mask is held on with adjustable elastic straps. The mask is soft and a lot more comfortable than the stiffer store bought masks. 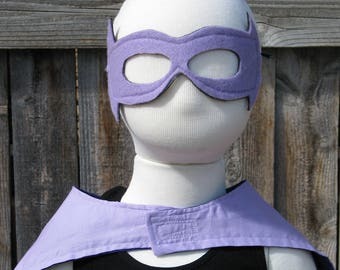 The mask will fit both children and adults, The mannequin is a size 7 kids mannequin. 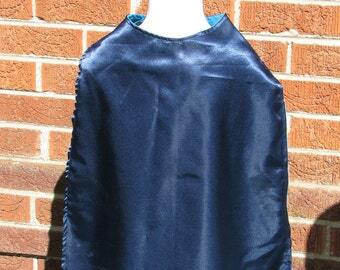 Cape, Black Satin,smoke pattern, reversible! Such a beautiful print. Perfectly cut and arrived clean a crisp. The staggering of the print would make it a bit tricky for quilting squares, but not impossible. I am going to use it for a pillow, so it won't affect me. Great fabric, shipped promptly. Thank you. Unicron fabric. Pernilla's Journey Unicorn Land Free Spirit fabric by Tina Givens.